Some of the world’s biggest clubs are ready to pounce on Czech, who is suddenly surplus to requirements. Chelsea were delighted to have club hero Petr Cech on the bench on Sunday against Arsenal, as he was able to come on to replace new first-choice keeper, Thibaut Courtois who was forced to come off with a head injury. 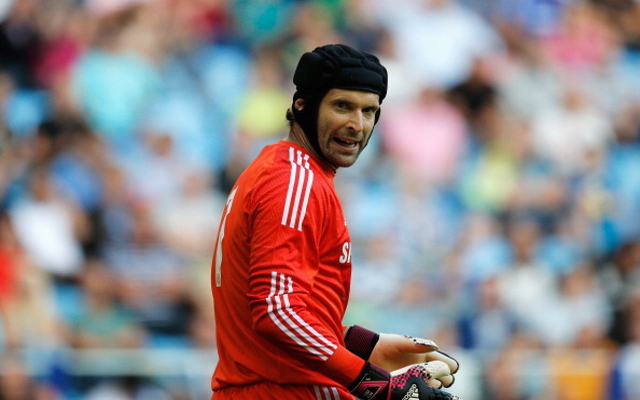 Chelsea Wages – See how much Cech is on, along with eye-watering Costa wages. Jordan Henderson Contract – Midfielder on verge of enormous new deal. Kakuta Scam – £50k stolen by former Liverpool youngster. Despite his unexpected game-time on Sunday, the Czech goalkeeper will be keen to leave in January, with his career entering its prime and his prospects at Chelsea diminishing. The Blues will also be keen to get rid of him, as having two goalkeepers on big money is not ideal, especially for a club revelling in its surprising new financial prudence. Madrid signed both Miguel Moya and Jan Oblak from to replace Courtois; but the 30-year-old Moya doesn’t have nearly the abilities of the Belgian or of Cech, and 21-year-old Oblak is very inexperienced.